All skin treatment are using the same concept > If you skin has permanent scars, you need to damage or destroy your skin by using laser or chemical peel or dermamembran or derma roller. Then regrow the new layer of prettier and healthier skin. The same happen if you use derma roller, there are many needles on the roller, you roll your face by using derma roller, all the needles puke into your face to damage your skin. Furthermore, the needle will puke into your skin to stimulate the collagen under your skin, the collagen responsible to regrow and repair your skin effectively and beautifully. Please eat more vitamin E or drink more collagen or apply collagen masks on your face to regrow the new perfect beautiful skin. Water is the key for healing the injury, so please make sure your face is moisturized after rolling. You can apply moisturizer cream or hydrating facial masks to give water to your face after rolling. Normal laser treatment price is rm500 per session, rm3000 for 6 sessions. Normal laser can't fix the deep scars. You need Advance Laser Resurface Tech which will be more expensive. Derma roller treatment is rm100 for 30 sessions. Actually you can use the roller for more than 30 times if the head of needles are still sharp. You can use derma roller anytime and anywhere and you can do it by yourself. More info about Derma Roller at : http://dermaroller-malaysia.com. Icepick acne scars : These are small, narrow pits that can sometimes be quite deep, as if a Smurf took a tiny icepick to your complexion. They are the most common type of acne holes. Boxcar acne scars : These scars often look like large pores or small, walled boxes. You can use dermaroller to remove the boxcar scars and icepick scar that shown at above. 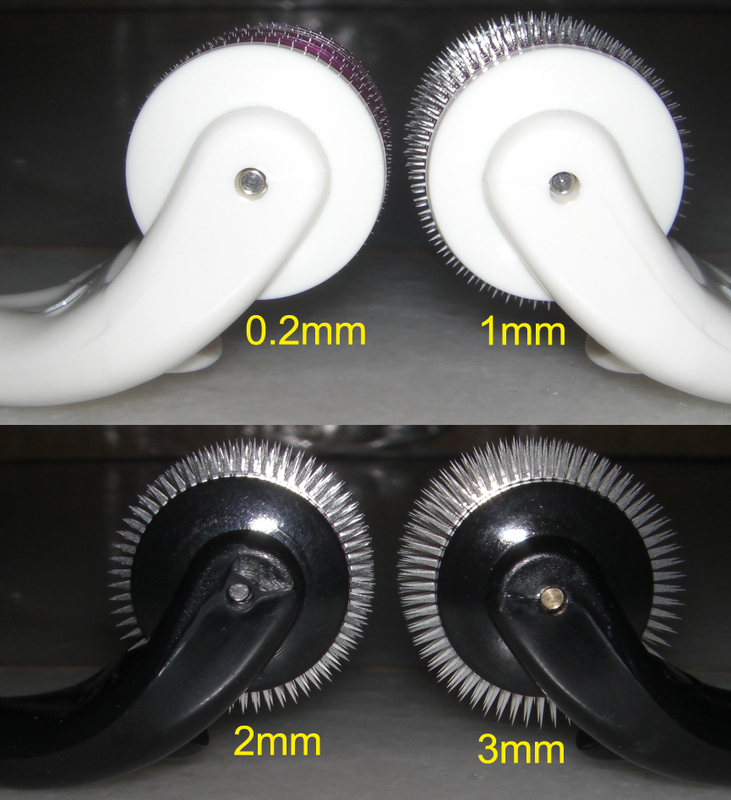 The needles of roller are already been sterilized, but you still need to wash the needles for disinfection. Everytime before using the dermaroller, wash it with soap, then sink it in the salt water or sink it in 75% alcohol, just to make sure the dermaroller is 100% clean. You can view all his video from his treatment 1 to the last from his you-tube page : http://www.youtube.com/user/raysdermaroller. If u want faster remove the scars, then put max pressure when rolling, it will be bleeding a lot and painful if without numbing cream / lidocaine / anesthetic. (5 to 10 sessions can complete remove the scars already). If you don't dare to put pressure when rolling, or if you don't dare to bleed, it will takes longer time to remove the scars. (40 - 70 sessions only can complete remove the scars). 2) Wash the dermaroller with soap + water (me and most of my customers also do it, but some other perfectionise people want perfect clean, they use salt water and 75% alcohol to clean it). 3) Wash your face with facial cleanser before you start dermarolling your face. 1) Apply cream on your skin. Click here for the info of cream. 2) Use dermaroller to roll on your skin vertically for 10 times, horizontally for 10 times to form + shape. Then roll another 20 times with different directions to form x shape, like the above picture. 3) Apply cream on the skin again. 1) Apply lidocain 10% spray for 30 seconds to numb your skin to prevent the pain later. Click here for the info of lidocain 10% spray. 2) Use dermaroller to roll on your skin for 10 times per direction to form + shape and x shape, like the above picture. 3) Wash away the lidocain from your face with water. 4) Apply cream on your skin. Click here for the info of cream. Can I dermarolling on pimples / acnes areas? 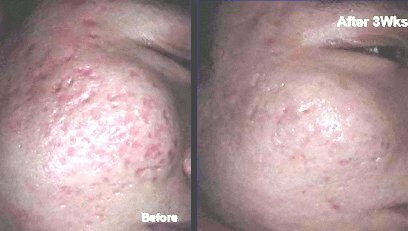 Some people even a doctors say dermarolling on pimples area can cure and remove all pimples, but I suggest you don't dermarolling on pimples / acne areas. If you still have acnes / pimples breakout on your skin, I suggest you use Caroline Skin Care to cure pimples and prevent pimple breakout. Can I use dermaroller without apply any cream? Yes, you can use dermaroller without apply cream. Actually the purpose of applying cream is just to faster the scars removal progress. I suggest don't dermarolling on pimples / acne areas. If you still have acnes / pimples breakout on your skin, I suggest you use Caroline products to cure pimples and prevent pimple breakout. You just need to use Caroline cleanser foam (rm111), Caroline skin astringent (rm96), Caroline refining cream (rm111). Total is RM318 for 3 month usages. So RM106 / month only. If they are too expensive for u, you can just buy the Refining cream. The refining cream is a MUST. You can see obvious result within a week, pimples are fate away and your skin become smooth like babe within a week. You can buy Caroline products from http://dermaroller-malaysia.com/caroline-acne.php. Derma Roller is really effective? Some people did laser treatment for 5 sessions but still cannot see the result, they blame laser treatment is useless. Some people did derma rolling treatment for 5 sessions but still cannot see the result, they blame derma roller is useless too. It is not easy to remove the scars. You need to derma rolling your skin for at least 30 sessions. You can roll 4 sessions per month, so you need more than 7 month to remove the scars. So please be patient and consistent. You can't afford to do laser treatment for 30 sessions because it will cost rm600 x 30 sessions = rm18000. You can save a lot of cost if you do derma rolling treatment, it cost you just rm100 per roller, and you can use the roller for 30 sessions. In case your roller needles are no longer sharp or spoiled, you can just pay another rm100 to buy a new roller. 1) Collagen masks (Click here to see the info of collagen masks). As collagen is the key to heal and regrow new prettier and smoother skin, we can use collagen masks to give more collagen to the skin. 2) Vitamin A Retinyl Palmitate cream. This cream has vitamin A and vitamin E to help recovery the injured skin. Click here for more info. 3) Revitol Scar Removal Cream. It can help erase those unwanted scars for good with a unique formula that is completely natural and totally safe. Click here for more info. 4) Scar Serum. 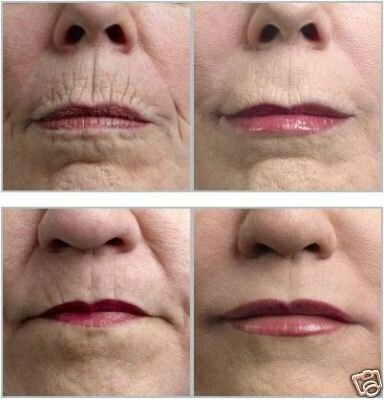 I saw a company from United Kingdom sell their dermaroller package with this Scar Serum, info at Click here. 5) Hydrating masks or Moisturizer Serum to provide water to your skin after rolling, because water is the key to heal the injury. 6) Minoxidil or Rogaine. It is for hair fall and baldness problem. Apply it on your head scalp where has baldness or hair fall problem. You can eat Biotin for faster the hair grow process. 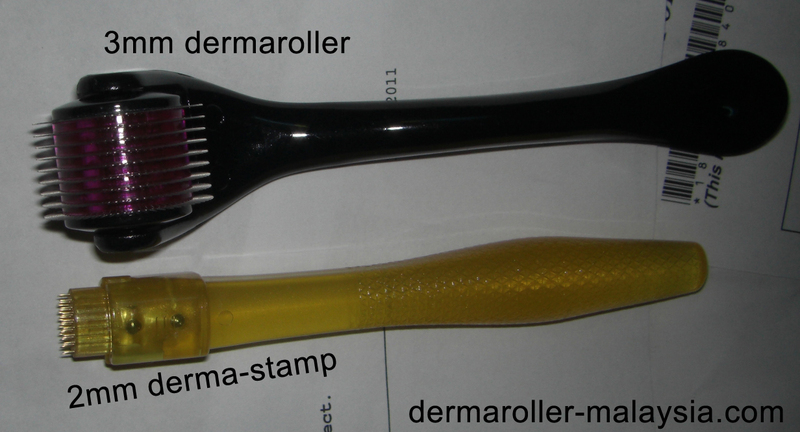 I have listed out 7 of products above that can enhance the effectiveness of using dermaroller. You don't need to use all the 7 products, you can simply pick any 1 product to try. I'm not sure which product is the best for your skin. You have to try them out by yourself. If you want to buy the product, you can go to http://ebay.com.my or http://lelong.com.my to search for the product. 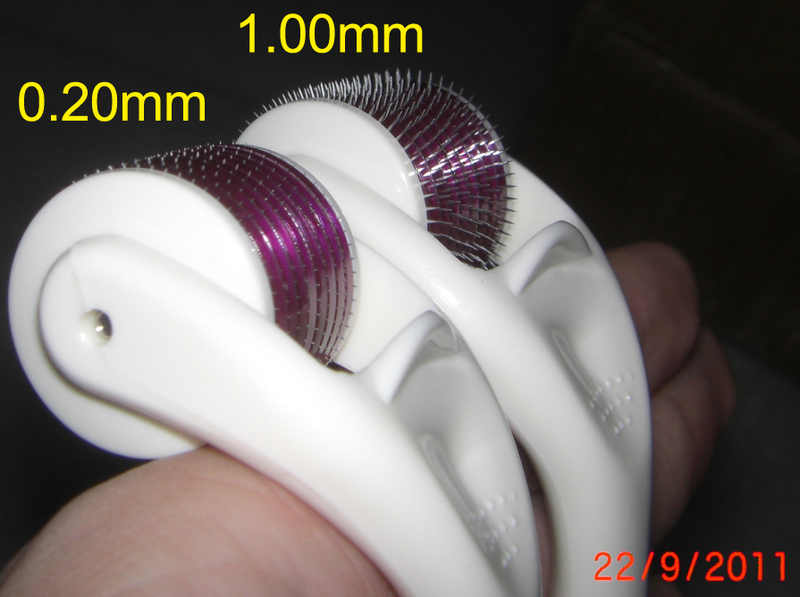 When you are about buying a Derma Roller, please ask the seller how many needles on the roller? Some roller has 150 needles only. Some has 200 needle. You need 500 needles rollers if you want very smooth and flatten skin. 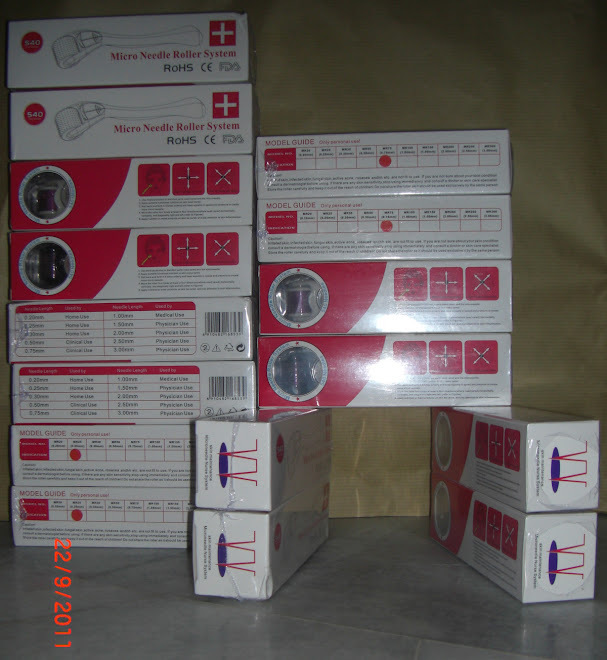 Facial center sell 540 needle rollers at RM150 and above. 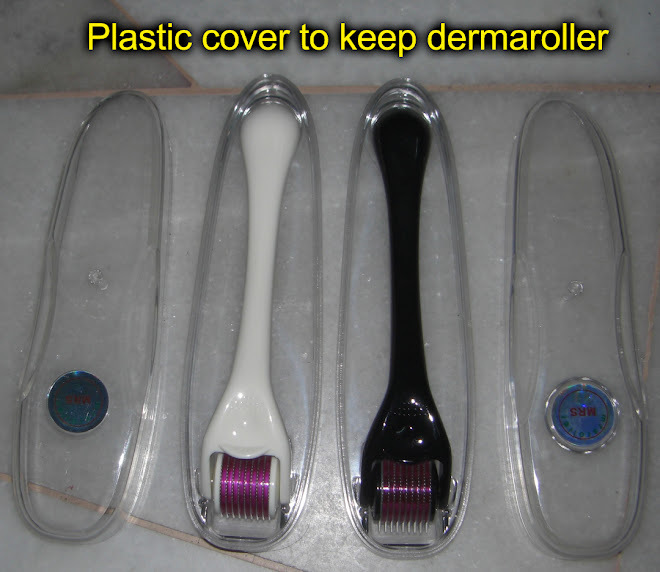 I am selling 540 needles Derma Roller at RM95 only. -Box Color : White + Red. 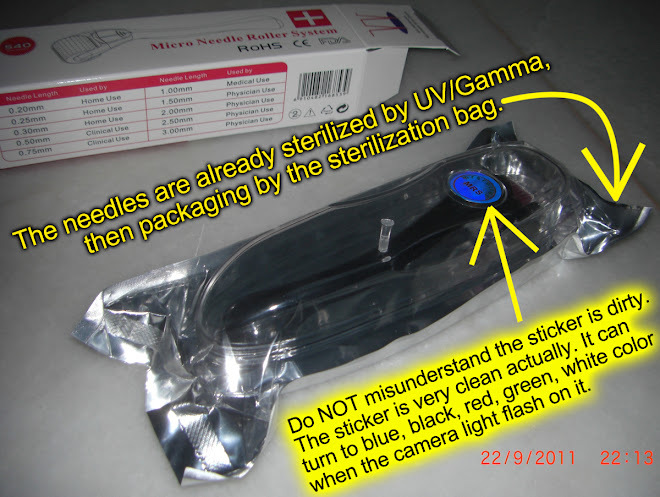 2) A plastic Cover (keep dermaroller and protect the head of needles). 3) A box with instructions about how to use dermaroller. 3) Or you can use Paypal transfer money to me, you need to extra pay RM10 to me if you want to use Paypal transfer money to me because Paypal will charge me RM7 to receive your payment and RM3 to transfer money to my bank. My Paypal email address is 2aek@live.com.my and my Paypal name is Zac Ang Eng Keat. dude, is it still available? hi..i would like to purchase 1.5mm, do you have that in stock right know? Yes, I have stock now. hi zac, i already made a payment and email you my detail..kindly to check and revert back to me.. thanks..
1.0 won't bleed. Don't worry. zac.. okey 1.0mm .. how about the after care,, the link you provided seems either invalid or not local.. is there any brand tht i can get locally.. any suggestion of brand.. all i can find is just retin A cream..and collagen mask yea there is a tonne.. have you heard about the copper peptide.. its quite popular to westerner but it doesnt sell here.. u may google it..under brand name of clear skin care.. I don't sell copper peptide... sorry. 60% of my face is pitted scar. zac. i will email to you the details of purchase by today..
My face full of scar for many years. Which length can you recommend for me? 1 or 2mm length rollers. hi zac.. pls let me know if you new product is available for me to buy..
Give me your hp number or email address so that I can inform u once I have new product. Thank you. Yes, I have received your email. Will reply ur email once I got new products. Thanks. hi zac, my face have deep acne scars.which needle can use for me? it's the product including the cream? Hello...I have scars but its not that deep but quite alot...I think its like the boxcar..what length do u recommend? Do have stock for 1mm? will it bleed if using 1mm? what length do u use in ur pictures? Yes, I have 1mm ready stock. hi..i would like to purchase 1.5mm & Caroline Refining Cream.. do you have that in stock right know? 1.5mm is out of stock now, my new batch of 1.5mm stocks will be arrived on tomorrow or Thursday. 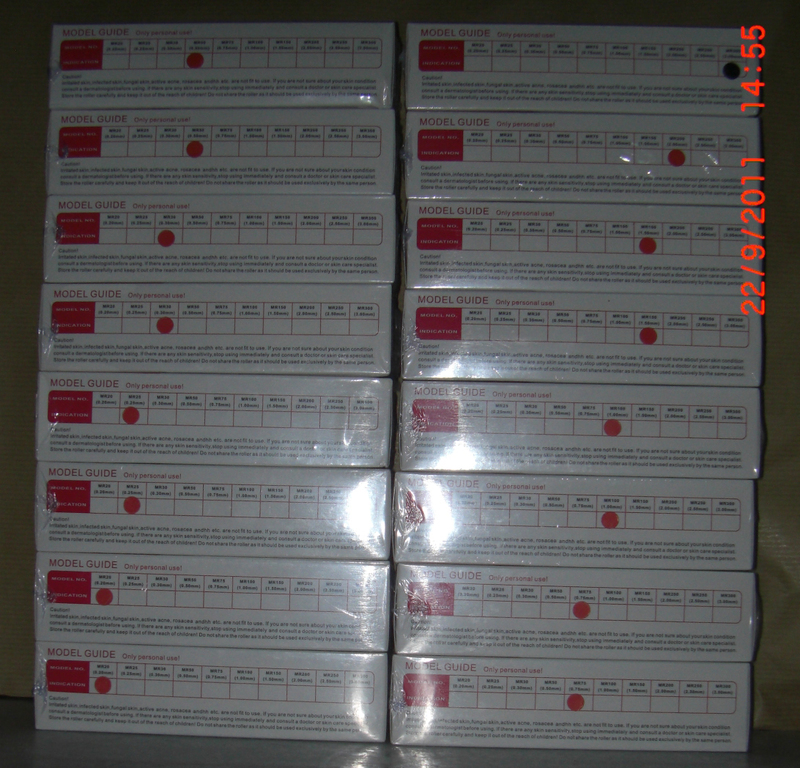 I have ready stock for Caroline Refining Cream now. 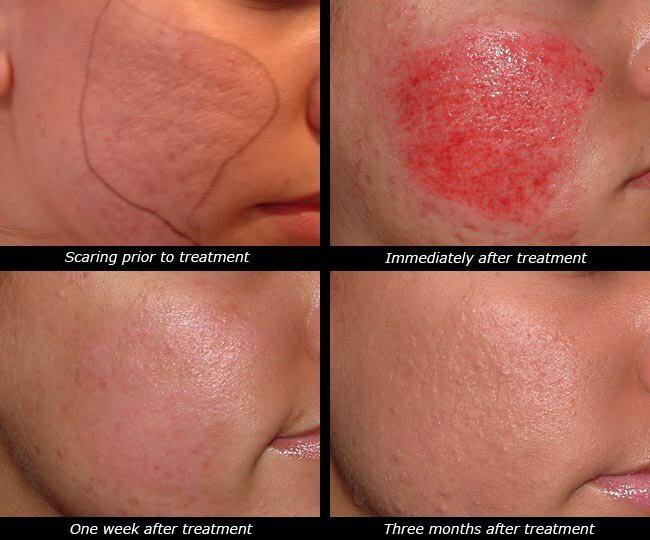 Hi..how many percent of improvement can we expect when doing derma rolling treatment to deep acne scars? @34, I have 1.5mm ready stock now. ok, i'll take 1.5mm & Caroline Refining Cream..
so the total should be rm210 ..
once i bank in i give u all my detail thru email..
1.5mm still available? How much would it cost for Sarawak? @39, Yes 1.5mm is still available. I still have 20 pieces of 1.5mm. Postage to Sarawak is RM10. So total is RM105. Thank you. Hi..which cream can give fast result to treat deep scars..dermagist or revitol..
@41 Both od Dermagist and Revitol have different ingredients. I don't know which ingredients are suitable for your skin. You need to try it out yourself. Thank you. Hi..is it normal my skin start to "peel" after 3 days of dermaroller..
@43, Yes, it is normal. Old ugly skin peel off, so that there is a chance to grow new healthier pretty skin. does anyone here who already bought this product comment on it efficiency?tqvm..
Hi zac, I just got to know about micro needling treatment. What length do you recommend for stretch mark removal. My SM is about 3 yrs already. And if I want to use a collagen serum to apply before, what do you suggest? @46. 2mm to 3mm is for stretch mark. The longer needles = the more effective. U can apply serum before and after dermaroller. Thanks. Are there any 1.5mm available. I need them urgently. Need you to post it to Sabah. @48, yes, available. I can post it to u today (saturday), then u will receive it on monday or tuesday. Thank u.
Hi there! I like to find out what is the best size needle for icepick acne scars. I would like to order a derma roller. I have pitted skin from acne scars and would like to improve the texture of my skin. Is it stll available Zac? @50, 2mm or 2.5mm is for deep icepick scars. Yes they are still available, thanks. Is it possible for you to ship this product to Brunei? @52, yes, I can ship it to Brunei, the shipping fee is usd6 only. It will take less than 2 weeks to arrive at your house, thanks. still got 1mm for light scar?? I have very light acne scar and some really fine lines due to dryness. i heard 0.5mm is good enough is it?? or should i use 1mm? Hi, i am from singapore. 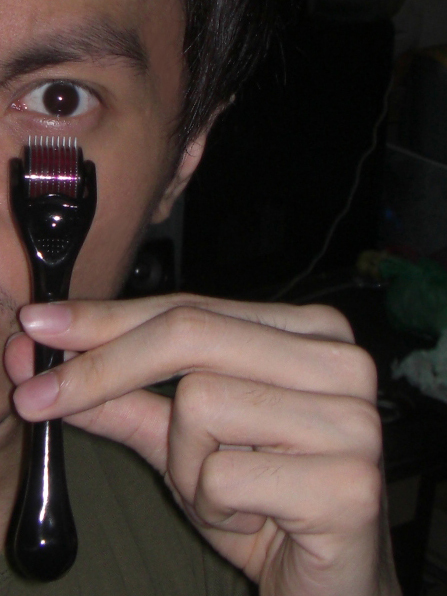 Do u still have the derma roller? Yes. Have. Shipping fee to singapore is usd6 or rm20. Thanks. For burn scar, which product do you recommend? usd36. 1 or 2 weeks. 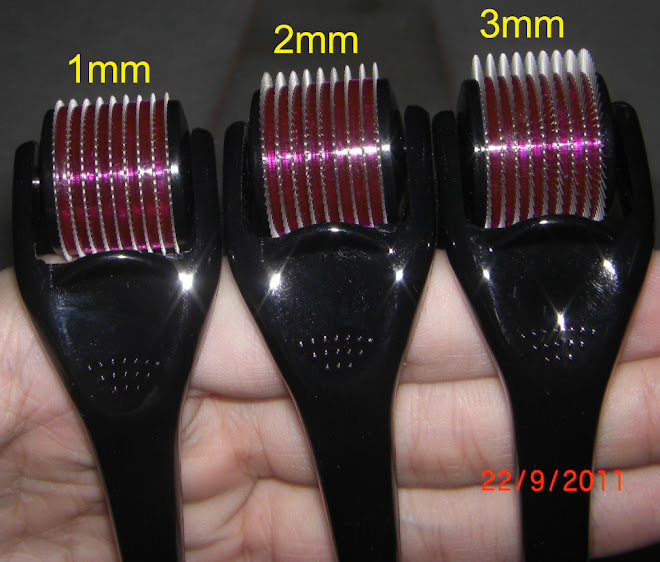 Hi i am interested in buying your product derma roller. I want 3, 9 lines dermaroller and deliver to Sarawak. That means i have to bank in rm 95x3 + rm 10? im interested to buy 1mm and 1.5mm, how do i make payment? @68 the answer is on above article. hi if I have dark scars on my legs cause by scratches which do u recommend? hi- I would like to know if you still have stock- what is best if i want Hair loss and also use on the face? still have stocks. 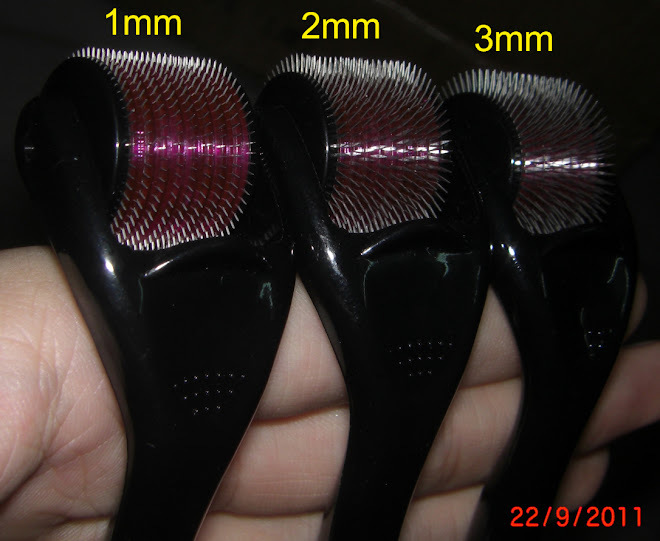 0.5mm for hair loss, 2mm for face. have. emailed u already. please check. please paypal transfer usd 73.5 to my paypal account. My paypal email address is 2aek@live.com.my and holder name is Ang Eng Keat. After transfer fund, please tell me the receiver's name, address and phone number. Thanks. I have email u anyway. Please check. Thanks. hi. i like to buy dermaroller 2mm and 1 unit scar fading cream.via post Johor Bahru. still available? email me khaizurin@gmail.com tq dude. yes available. Email u already. Zac. i have an email to you. Please check your inbox. 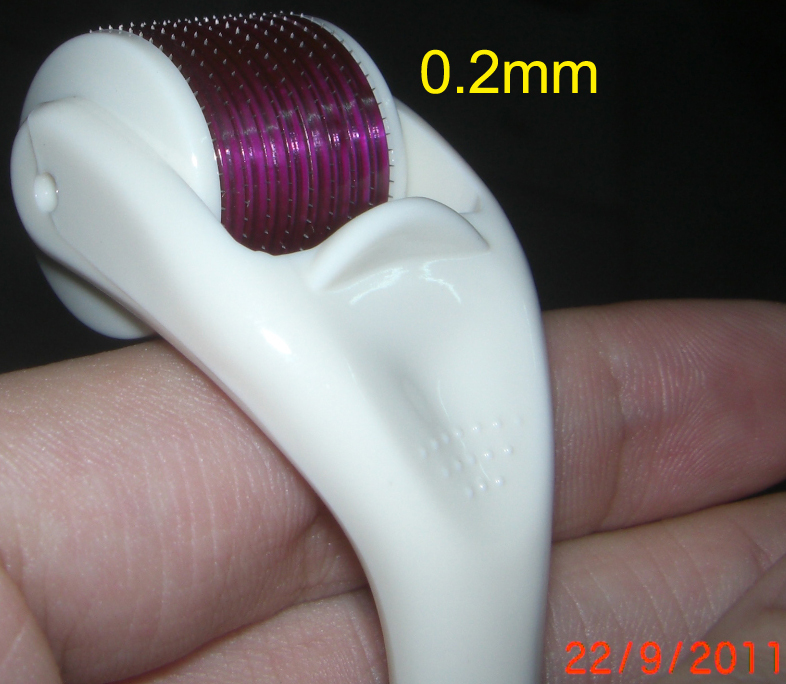 hi, I would like to order a Derma roller, do you have stock available? Can you please email me the details and pricing so we can decide what and how many we are going to order, probably we can order 2pcs. Product price, postage / shipping fee, payment methods, delivery infos all show on www.dermaroller-malaysia.com/buy.php already. 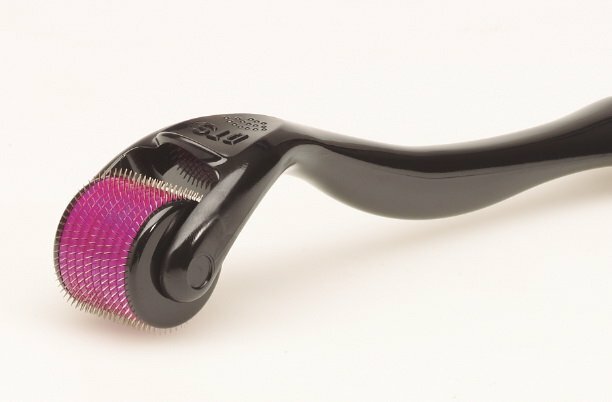 Do you know any facial shop that can do the dermaroller treatment? Just to confirm the quotation of price. So total payable is RM45 + RM95 + RM10 = RM150? masks are heavy, postage is rm15. total is 155. thanks. One more before I proceed with payment. Dermajuv Acne Scar Fading Cream or Revitol Scar Removal Cream? Since both seems to have the same effect. dermagist scars fading cream is better. Dermagist a tad more expensive. So Revitol Scar Removal Cream + the products previously = RM150 + RM155 = Final total RM305? I've made payment bro, Please check your email. Thanks. received your payment already. Thanks. Tomorow will post products to u.
I want to buy 3 derma rollers of sizes 0,5 1 and 3 mm. Also i want revitol scar cream and glutathione whitening pills. R u here in the ph? I am intrested to buy derma roller but i am not sure if you are here in ph. 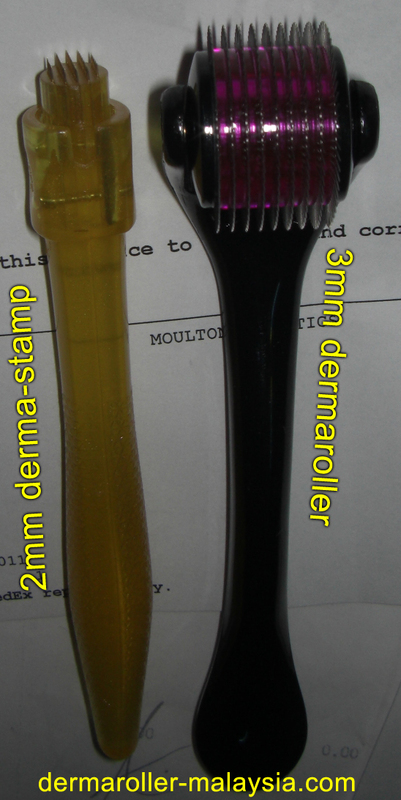 Do you still have the dermaroller 1.5mm in stock? 0.5mm, monixidil. Product price, postage / shipping fee, payment methods, delivery infos all show on www.dermaroller-malaysia.com/buy.php already. i just try 2night 1.5 mm but theres no bleeding in my face when i use the roller ...did i need use over then 1.5? hey. 1.0mm derma roller still available ? 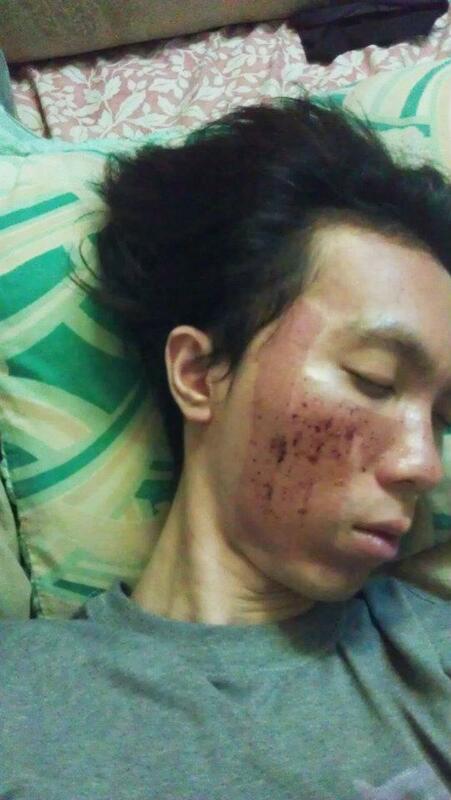 hai im from brunei... the 3mm dermaroller and dermagist scar fading cream still available? can u tell me how much do i have to pay altogether in brunei dollar? hi zac,is still available? i don't know what types of my scar but i think is icepick but it is not deep..so I like to find out what is the best size needle for icepick acne scars? hi zac,is still available?i don't know what types of my scar but i think its ice pick..so I like to find out what is the best size needle for icepick acne scars? I'm sorry zac,i already ask my sister which types of my scar and she say is boxscar since i confused..so which best size needle for me? is still 2mm? i'm sorry zac..i already ask my sister which types of my scar and she say its boxcar..so is still 2mm best needle should i buy? received payment and replied email already, thanks. Hi .... Do you have 0.75mm ? sorry i don't speak indian language. Product info, price, postage / shipping fee, payment methods, delivery infos, cod locations all show on www.dermaroller-malaysia.com/buy.php already. Are u still selling this product? have stock for 1.0mm? @122, Product info, price, postage / shipping fee, payment methods, delivery infos, cod locations all show on www.dermaroller-malaysia.com/buy.php already. dude ... this product still available or not?